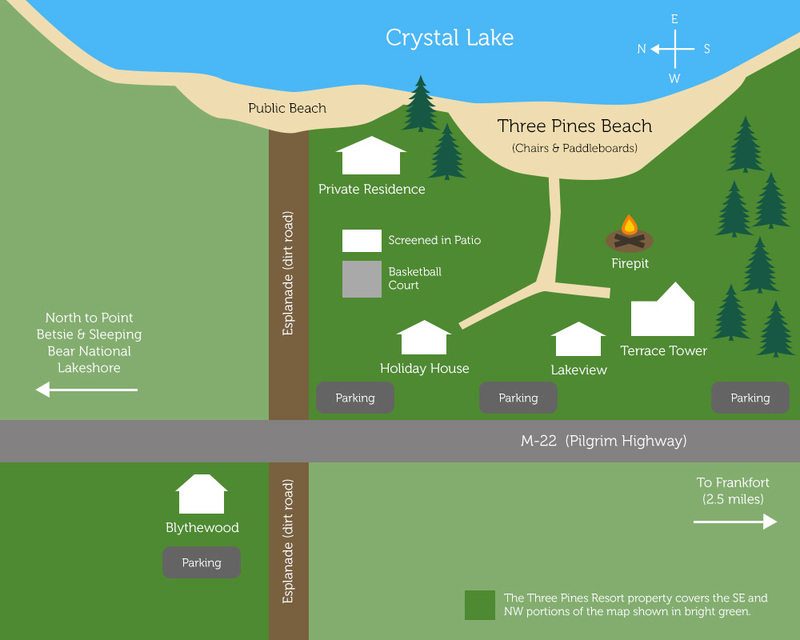 Three Pines Resort is located at 2197 Pilgrim Hwy, Frankfort, MI 49635. Click the image to view a larger version of the map. Or click here to download a PDF.